This unique monument was commissioned by William H. Bliss and his wife, Anna, sometime around 1913, a couple of decades before their deaths. An 1919 architectural review of the "William H. Bliss memorial" calls it "a significant contribution to the art of funereal commemorative monumental design" and says its "design gives evidence of thought and of a serious purpose and it establishes new precedents in this field of design." 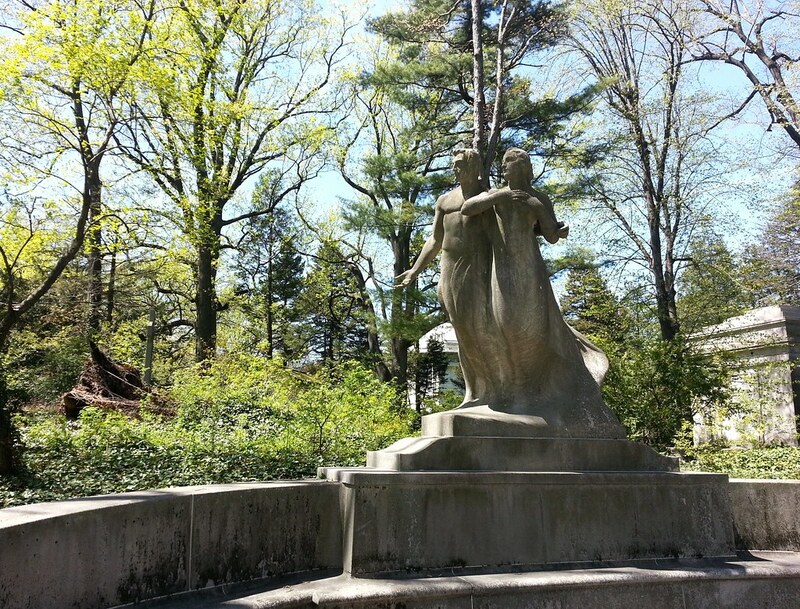 If you search online, you'll find a multitude of sites referring to this monument as the "Annie Bliss Titanic Memorial" (or some variation thereof) and stating that Mrs. Bliss dedicated it to all those lost in the tragedy. While the monument does have a nautical theme — for instance, the Wordsworth line "Our souls have sight of that immortal sea which brought us hither" is carved into the exedra — and was designed just a year after the Titanic sank, I didn't see any text on it referencing the disaster (although I wasn't looking too closely at the time), and I can't find any mention of Mrs. Bliss's supposed dedication in the historical record. Is a “laxative fortune” merely a large stash of the stuff? I love the idea of that being passed down from generation to generation.